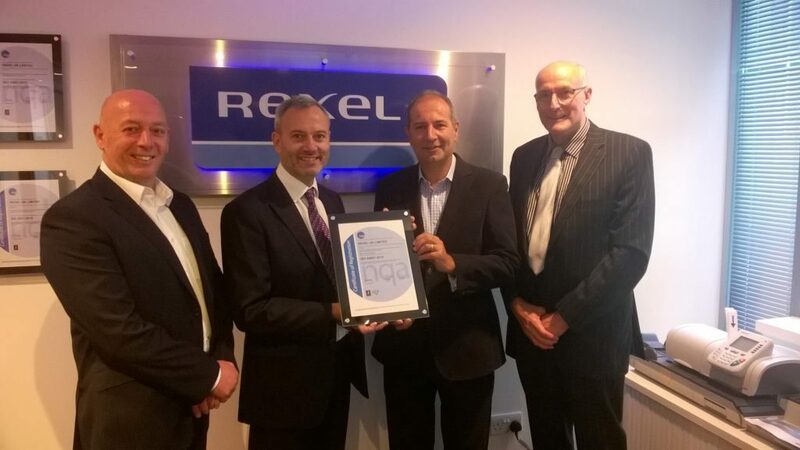 There’s much to celebrate at Rexel as the business has achieved certification to the new and internationally recognised ISO 45001:2018 Occupational Health and Safety standard (OH&S). ISO 45001 which supersedes OHSAS 18001 makes integration with other management systems simpler than ever before; because it shares the new common structure defined by Annex SL. This is a structure created by ISO to provide organisations with the right information needed to comply with more than one management system standard. It also streamlines the integration process, supporting the continual improvement approach of all ISO standards. Businesses with the OHSAS 18001 are required to migrate to ISO 45001 to maintain the validity of certification within a three year period. Rexel’s early adoption of the new standard recognises the organisation’s commitment to demonstrating leadership in managing the safety of its workers and all other interested parties. It further demonstrates Rexel’s commitment to go above and beyond the compliance with health and safety regulations today. NQA, a leading third party certification body, is one of the first certification bodies to achieve accreditation from UKAS to this new international standard and supported Rexel with its migration from OHSAS 18001. Rexel is NQA’s first client in the electrical industry to achieve accredited certification to ISO 45001:2018. Rexel began its certification journey with NQA in 1994 and has previously been successfully certified for: environmental management system (ISO 14001); quality management system (ISO 9001), energy management system (ISO 50001) and health and safety management system (OHSAS 18001). Clive Bolland, Head of Safety, Quality & Environment from Rexel said: “We are delighted to have achieved this certification and it certainly is a testament to the team’s hard work in defining clear management structures, objectives for improvement and a structured approach to risk assessment and reduction. NQA Certification Ltd is one of the world’s leading UKAS accredited certification bodies with over 30 years’ experience in management systems certification. NQA has more than 43,000 active certificates in over 80 counties for standards including ISO 9001, ISO 14001, OHSAS 18001, ISO 27001, ISO 22000 and many more. Pictured above, L-R: Alan Rogers – Safety & Environment Manager, Clive Bolland – Head of Safety, Quality and Environment, Paul Bowtell – Environment & Sustainability Manager,Roger Walton – Safety & Environment Manager.